Mangaluru, 23 Mar 2019 [Fik/News Sources]: With ‘West Nile Fever’ claiming the life of a six-year-old in neighbouring Malappuram district, the district health department has issued high alert to districts bordering Kerala including Dakshina Kannada. Joint director of National Vector Borne Disease Control Programme of state health and family welfare department Dr S Sajjan Shetty informed that the district health offices of Mysuru,, Kodagu and Dakshina Kannada districts which border the Kerala state have been issued alerts. “I have asked them to strengthen Acute Encephalitis Syndrome (AES) surveillance,” he added. 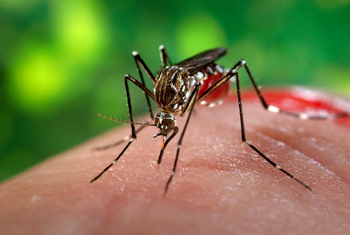 West Nile fever is a vector-borne viral infection transmitted to humans via mosquito bite. The infection is borne by the mosquitoes which feed on the virus infected birds. There is no vaccine for the infection which can lead to encephalitis or meningitis. Mosquitoes and migratory birds which are believed to be the major carriers of the virus, will be observed, said Dr Shetty. Dr Shetty has requested the people not to panic and take extra precaution to not get bitten by mosquitoes. It is worth noting that a person in Dakshina Kannada recovered from the viral infection after coming in contact with it in January 2018.